At Muscle Activation Fitness, it is our goal to provide each one of our clients with the attention and assistance to enhance their well-being and fitness abilities, while strengthening their bodies and helping them grow. Because of this, we are a much more than your typical gym or personal trainer; we are a fitness and wellness company that focuses on pursuing our client’s interests, utilizing the most effective methods in the industry. Our ultimate goal is to help you thrive, and we achieve this goal by utilizing Muscle Activation Techniques (MAT) and sports performance training to objectively identify and correct muscular imbalances. Our MAT process is hand-tailored based on your specific needs, goals, strengths, and weaknesses. MAT represents the top 1% of science-based training, making us the best at what we do. 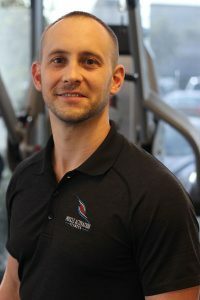 As your dedicated personal trainers, and with more than 25 years of combined experience, we pride ourselves on making a true difference that not only changes the way you look, but the way you feel. Customizing your workout to meet your body’s needs, we are able to help you feel better, move better, and perform better all around. With that, we make it a priority to get to know each one of our clients on a personal level – we hope you take some time to get to know us too. Contact us or stop by our facility in Plano today! 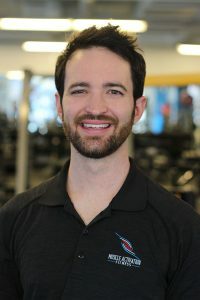 Jake is the Founder of Muscle Activation Fitness, LLC, and brings over 13 years of experience in biomechanics, resistance training, and client relations. 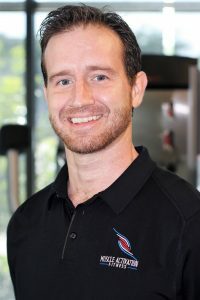 Certified as a MAT Specialist and RTS Resistance Training Specialist, Jake’s ability to assess clients in search of potential muscle imbalances and weakness gives them the confidence they need to improve their strength and well-being. Pursuing your best health and wellness has always been and will continue to be Jake’s number one motivation. Matt has a desire to make you the strongest you can be. He noticed as people grew older their quality of life went down due to unstable joints and weak muscles. Well, he decided to do something about it. He left Cooper Aerobics Center in 2015 to serve those who want the greatest bodies possible so they can enjoy their kids, grandkids, tennis, golf, you name it. I want you to have an amazing life, and I am here to serve you in order to achieve it. Paige has been a Professional Trainer for over 15 years. She has experience in biomechanics, resistance training, and client relations. She has taught new trainers biomechanics at Cooper and taught new trainers at Telos Fitness Center. 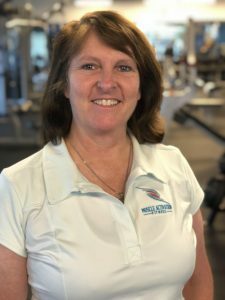 She is a licensed Massage Therapist and certified as a MAT Specialist, MATRx Foot and Hand Specialist and RTS Resistance Training Specialist. Paige is happily married for 25 years and has 2 adult children and she is a cancer survivor.